Hi Keshet! I love your take on the Ella Studio project. I am still trying to find the right photos for mine. We are planning to choose some photos of my daughter and my Dad from his recent holiday with us. I am planning to give the tray to him at Christmas. I really appreciate you taking the time to eplain the Jewish holidays especially some of the lesser known ones. Growing up in New Zealand and Singapore I only really heard about the major holidays. it has been really interesting hearing more about your faith. My husband is Japanese so we try and celebrate some of the Japanese holidays. I really like Boys Day and Girls Day which really make children the focus. As a non religious family we do not really celebrate many holidays. Living in Singapore though we certainly get to enjoy celebrations from so many cultures and faiths. We are very lucky. Keshet, I'm not even thinking about getting pregnant yet, and I still obsess over what we're going to name our kids someday! Love your printer's tray! It turned out great! It has been a while since I checked your blog. Congrats on having to obsess over baby names! Love your printer's tray. They sure are a lot of fun aren't they? I have one that I am dying to share but it is for my MIL who reads my blog. :-O LOL Enjoy your holiday! i love your Ella tray, Keshet!! What a great project! Love the pics you used. And those photos of the two of you are fabulous!!! 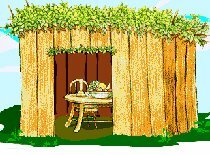 I used to work with two boys from an orthodox family and I loved seeing them put up their little hut in the back yard every year. The one boy, a child with autism, loved it so much he wanted to hang out in there all the time. 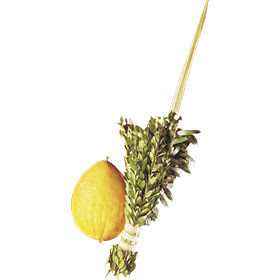 Love your posts about Jewish holidays and traditions. My husband was raised Jewish and I catholic. Though neither of us are organized religion types, I love seeing how traditions we grew up with are still part of our lives. Love your take on the project. I hope the weather holds out long enough for you to celebrate outdoors! WOW Keshet! 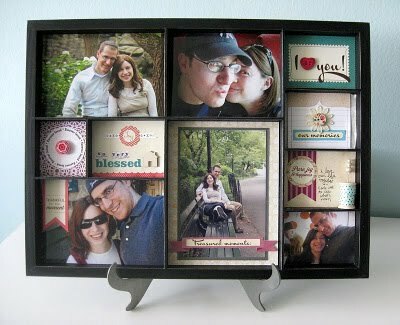 That tray turned out beautiful:) I LOVE that picture of you and your Husband on the bench...FANTASTIC! So happy to "see" you so happy. Can't wait to "meet" Bunny! The printers tray is beautiful. Great pictures of you and the DH. So glad to hear that Bunny is going so well!! !